As a tribute to the OFWs contribution to the countries economy, President Rodrigo Duterte approves the establishment of the OFW Bank. Another fulfillment of President Duterte's promise to OFWs during his campaign. “This particular move is an undertaking to show appreciation for the OFWs as our modern-day heroes,” presidential spokesman Ernesto Abella said in a Palace press briefing. "During the Cabinet meeting in Malacañang last night, the President approved the proposal of Labor Secretary Silvestre Bello III for the acquisition of the Postal Bank which will be renamed as the Workers' Bank," Agriculture Secretary Manny Piñol stated on his facebook post last Dec. 6. "The Postal Bank will be initially acquired by the Land Bank of the Philippines and will be renamed the Workers' Bank," he added. "Initially, Bello's proposal was for government to infuse P4-B into the Postal Bank after it has been acquired by the OFWs but Finance Secretary Carlos Dominguez argued that the plan would entail stringent requirements which will be imposed by the Central Bank," Secretary Piñol continued. "Sec. 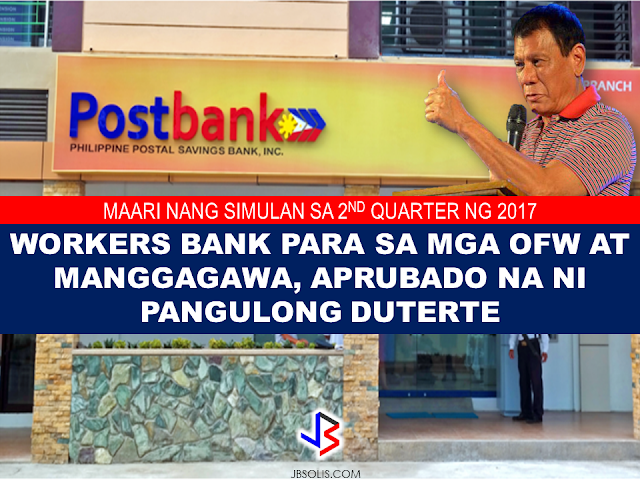 Dominguez, supported by Budget Secretary Benjamin Diokno, proposed that Postal Bank be initially acquired by Land Bank as a subsidiary. As the Workers' Bank grows, OFWs and other Filipino workers will be allowed to buy shares of the bank, thereby establishing the first bank which will be owned by the working class," the Agriculture Secretary said. “It will be called the Workers’ Bank. 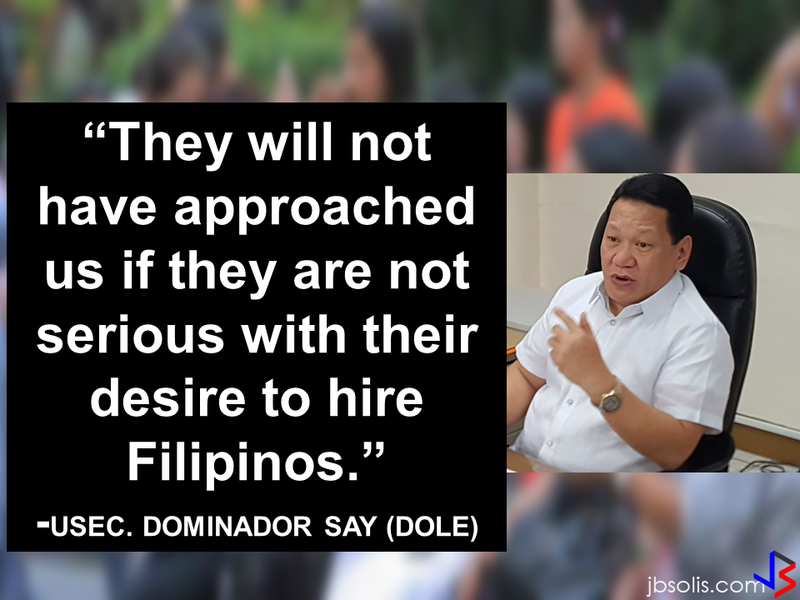 It could be for all workers and may even include LGUs,” Budget Secretary Benjamin Diokno told The STAR in a text message. Diokno said the initial budget for the bank would be discussed by economic managers in a meeting slated on Dec. 20 for next year’s macroeconomic assumptions and it could probably be established by second quarter of 2017. “I’m almost sure that it would require BSP approval, although the requirements are much less stringent than having a stand alone bank,” Diokno said. According to central bank data, Landbank is country’s fourth biggest lender with assets amounting to P1.288 trillion as of June this year. Postal Bank, meanwhile, was ranked 14th biggest thrift lender with assets reaching P12.117 billion during the same period. Land Bank of the Philippines for agriculture, Development Bank of the Philippines for industry, and Postal Bank for savings.